Miniature sewing machine - Tabitha 3. Featuring a fine nickel plate finish, this top of the range Tabitha variant was marketed for a short period circa 1890. 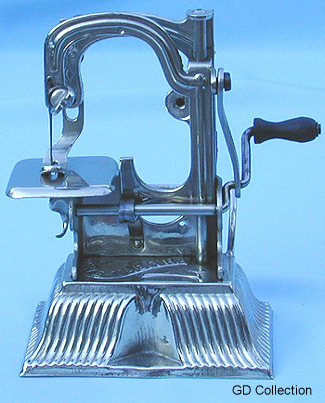 The machine was sold in an attractive drop-front pressed card display box with gold embossed lettering - see here.